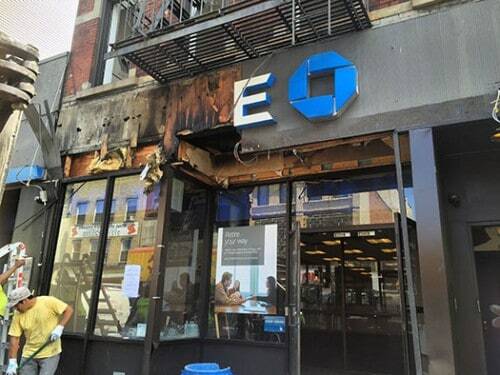 Chase Bank (798 Manhattan Ave) caught on fire this morning (June 21) and is temporarily closed. It should be back up and running tomorrow, according to a Chase employee who was at the scene. In the meantime, the ATM outside is still working. It looks like the fire was contained to the area around the Chase sign and no one was hurt.